Does your company have a Corporate Matching Program? A matching program is a great way to extend your gift. Do you own a business and you’re looking for a way to support positive social change while gaining exposure to passionate individuals in our community? Work for a local company that wants to expand their giving to great causes? Sponsor an outreach event or even a local fundraiser. Want to see what we do? Check out our Events Calendar, we welcome you to visit one of our events or jump right in! Iowa Humane Alliance offers several opportunities for businesses for large and small to help us and we work hard to recognize your efforts in order to bring your company recognition. Please contact us directly and we can work together for a great solution! Some businesses are more comfortable with establishing a subsidy account to assist low income families with the cost associated with getting their pets altered. With a monetary donation of $1,000 or more, we would establish a subsidy program in your company’s name to assist qualified clients of the Iowa Humane Alliance Regional Spay/Neuter Clinic. If you’d like to discuss any of these naming subsudy opportunities, or need assistance in setting something up at your workplace, please contact Kathleen Schoon directly by calling the clinic or emailing Kathleen@iowahumanealliance.org. Businesses and individuals can contribute by donating office supplies and furniture, medical supplies and equipment, vehicles, items for our online auctions, or items from our wish lists. Please contact us for more information. Individuals, businesses, and community organizations often ask if they can hold fundraising events on our behalf. Some of the events held in the past include garage sales, music events, bake sales, raffles and auctions, golf tournaments, and food and supply drives. We appreciate and welcome these efforts! We have put together a Community Fundraising Toolkit to assist you in your efforts. It can be downloaded here. Please read over the guidelines, suggestions and helpful hints and contact us as early as possible to let us know about your plans and how we can help. Iowa Shares is a coalition of social change, environmental and cultural nonprofit organizations throughout the state of Iowa. We make a direct impact on our communities through research, education, advocacy and direct service. Cars aren’t the only vehicle that you can donate. Motorcycles, boats, RVs, even quads can help Iowa Humane Alliance. The donating is easy. Click here to start! Cars™ is available 7 days a week. Did you know at IHA we accept empty ink cartridges for recycling? Donations of used ink cartridges help reduce our cost for office supplies. Let Kathleen@iowahumanealliance.org know if you have any questions, or just drop them off at our office when you’re in the area! 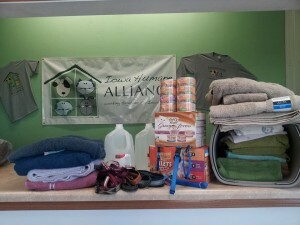 Houseworks is a consignment store that allows for volunteers to drop off items for Iowa Humane Alliance. For more information, visit http://www.houseworksic.com/. Iowa Humane Alliance has an account with The Can Shed in Cedar Rapids: 4121 16th Avenue SW, Cedar Rapids, IA. If you would like to donate your cans and bottles just let them know they are for IHA when you drop them off. Proceeds will be placed on our account. 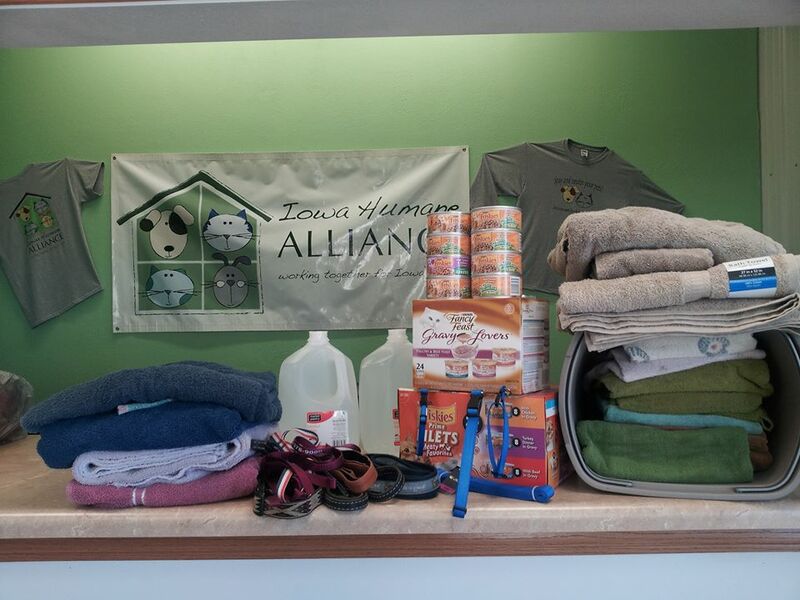 Much of our money goes towards purchasing supplies, so donations of items we use daily are greatly appreciated. Gently used items work well for many items on our wish list. Items can be dropped off at the clinic Monday through Friday, between 9 AM and 3 PM, or other times by arrangement. Just give us a call!